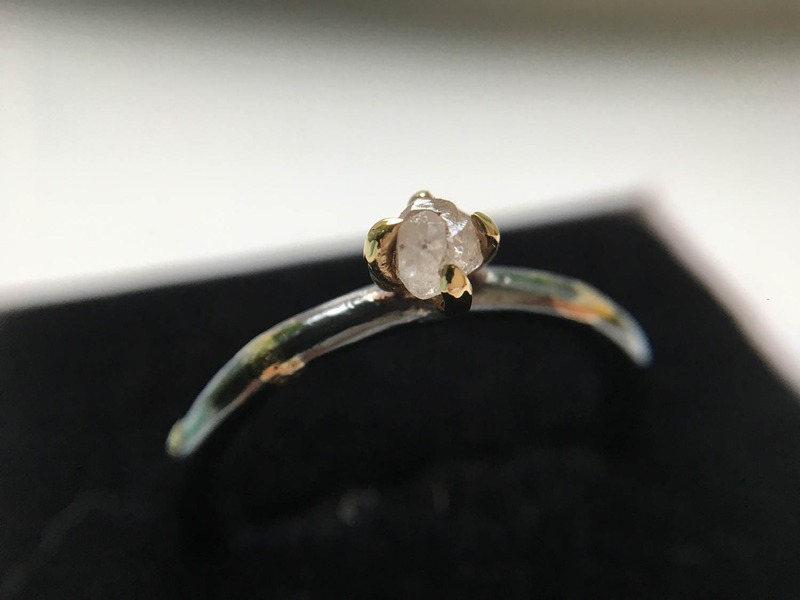 Alternative engagement ring with raw diamond for the rustic boho bride. The band is made in 2mm round sterling silver, which is then oxidised and has 18ct gold details added. 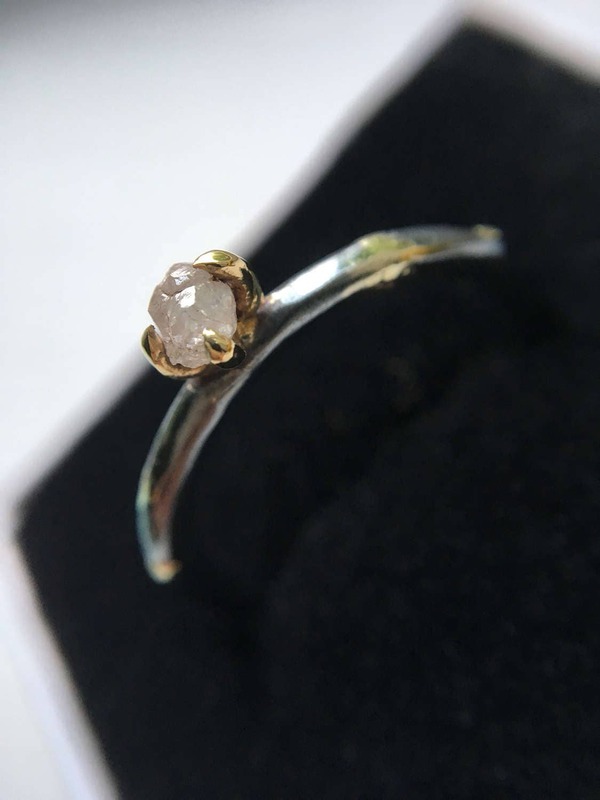 The rough diamond is set in 18ct gold claws. These rings are made to order, photos are for reference only. 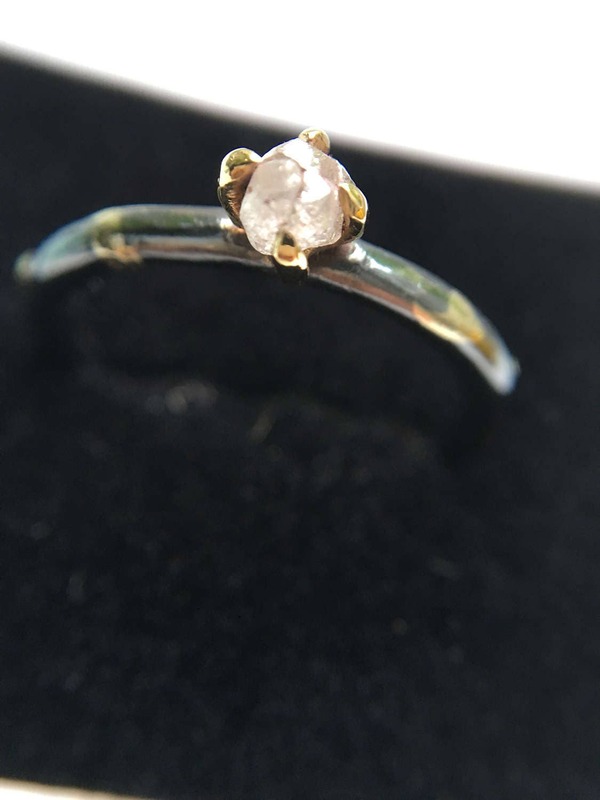 The rings are completely unique, as no rough diamond is the same so please keep that in mind. Please note that the oxidisation will wear off, it can easily be reapplied using any silver oxidising solution. Follow the instructions for whatever product you purchase. You will only need a very small amount of solution, wash and use a silver polishing cloth - back to it's original look. Fantastic ring and fantastic service. Will be recommending your shop to people. 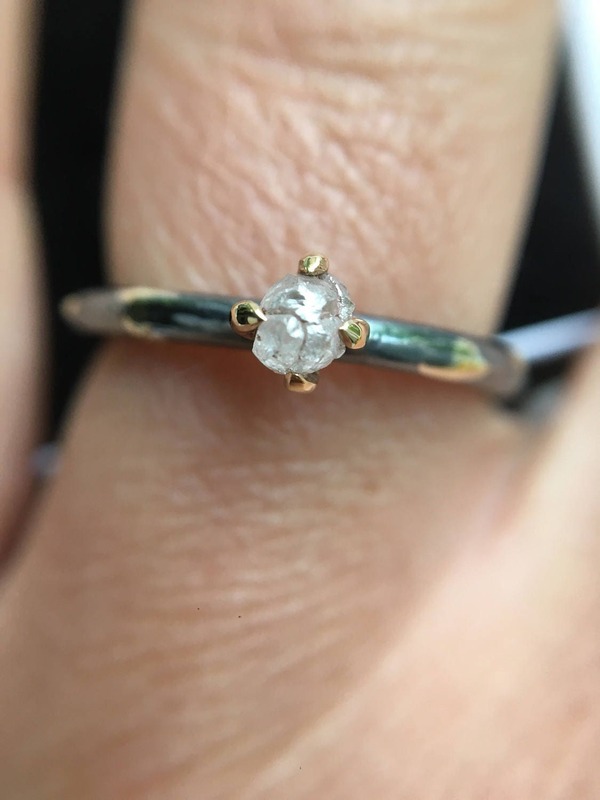 You've made me and my fiancé very happy, she loves the ring. Thank you! Absolutely fabulous! My girlfriend (now fianceé!) Loved it, the attention to detail is great, and you were so helpful every step of the way and very communicative!